Ever since the original Kingdom Hearts release in 2002, it has been one of those game series that is near and dear to me. The KH franchise has provided me with so much joy over the years through its many iterations. Obviously, though, I’m not the only one. 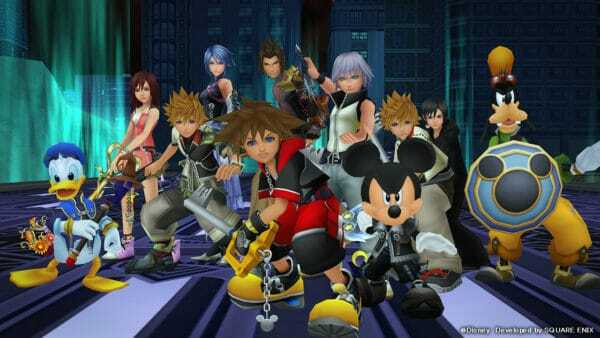 Due to having the Disney and Square-Enix (mostly due to its equally large Final Fantasy franchise) connections, the series ties in a multitude of different fandoms together. 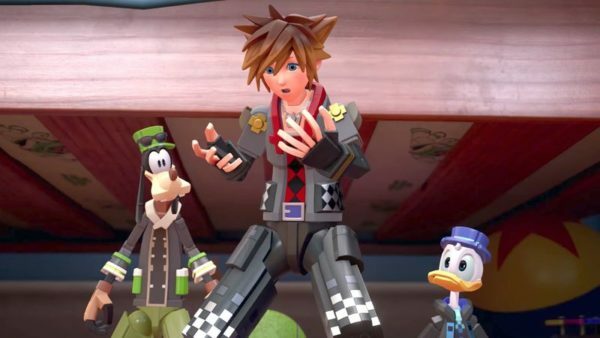 At long last, Kingdom Hearts III has a release date of January 29, 2019. By then it’ll be almost a 13-year wait since the last main game in the series, Kingdom Hearts II released in 2006. One of the things that makes Kingdom Hearts great is all of the unique characters that have come and gone throughout the various games. Tetsuya Nomura has found a wonderful way of making them feel special right along with the iconic Disney characters that accompany them. But there is always a favorite. This list focuses solely on original Kingdom Hearts characters. Disney and Final Fantasy characters are not included here. There’s still a while before KH3 comes out, so don’t worry Disney and FF will have their turn soon. Also fair warning, there are some small spoilers included here. Riku has a love-hate relationship with fans of the series. You’ll easily see gamers cry, cheer, or loathe him. 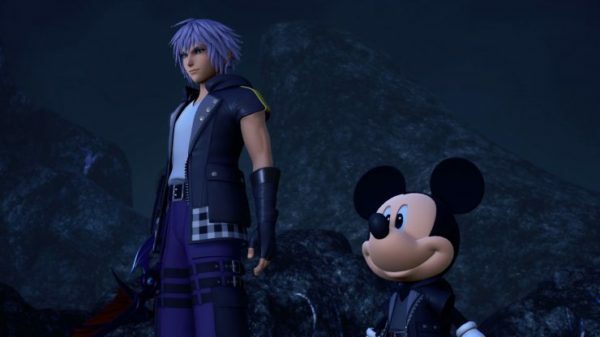 Riku starts off as a character that has fallen to the darkness. His desire to leave the island with his two best friends puts him in a vulnerable and easily manipulated position. Before long Riku becomes fully entangled in darkness and winds up as an enemy. His solo battle is actually one of the toughest boss battles on Proud Mode in the first game. Not to mention, his entire attitude and demeanor during said battle makes beating him so much sweeter. What makes Riku special is his path to redemption. 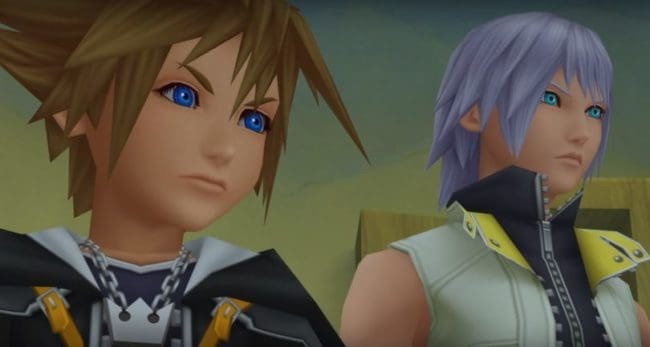 All the main and spinoff games follow Sora, but at certain points, the games shift their focus to those closest to him. Thus, we learn more about the series through those characters. Riku is very much one of them. 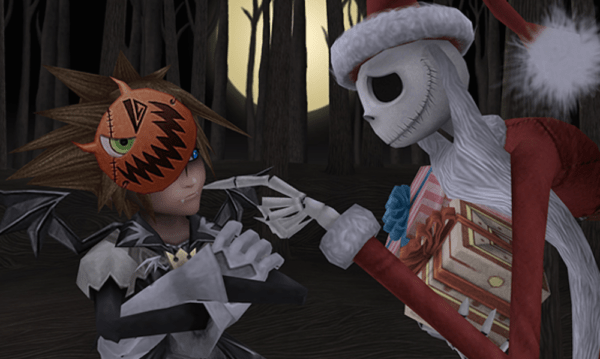 His fall into darkness leaves him in that realm, allowing him to help Sora close the door to darkness. This helps prevent more heartless from running around. While also restoring the worlds to their original order in KH1. 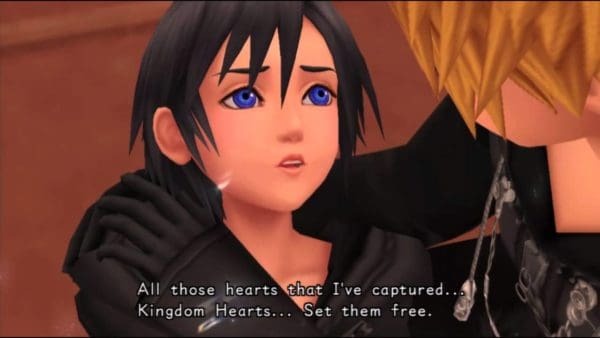 If that isn’t enough, he exiles himself and continuously fights his darkness during the events of Kingdom Hearts 358/2 Days and in Kingdom Hearts II as well. His struggle to not give into that darkness and instead balance it with the power of light gives him the ability to walk on the path to dawn. Leading to players actually seeing his new outlook and strength in Kingdom Hearts: Dream Drop Distance. His commitment to Sora is also a noteworthy feat. He saves Sora when he least expects it, and helps him by pulling the strings on the other side. His relationship with King Mickey even brings him closer to enlightenment. He becomes honest with himself while remaining a strong pillar for Sora and his friends. Making his story of redemption easily relatable, and a character that has a place in all our hearts. 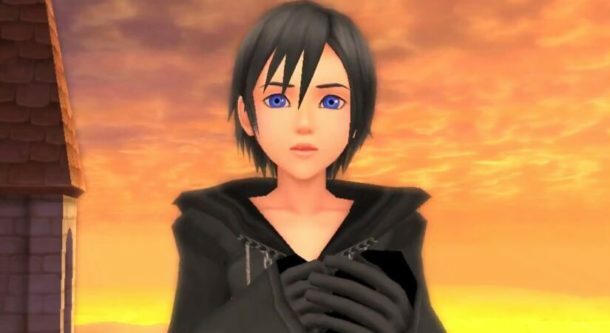 Xion is a complicated character. Especially, when not many references to her are made until the later games when Axel joins the good side. It’s because most of her appearances in the series are in 358/2 Days. Xion is a replica made to house Sora’s memories and a backup if Roxas failed to achieve Kingdom Hearts for Organization XIII. She is a character that was not meant to exist. Except that her friendship with both Roxas and Axel kept her alive. She sacrificed herself and the memory of her existence so that Roxas could continue to exist. Later, Roxas eventually fuses back with Sora, preventing Organization XIII’s Kingdom Hearts. Why do fans love her? For one, she’s in a bittersweet story. Xion is part of the line of trios after all. The Destiny Islands trio is the original. The Birth by Sleep Trio is the second. And the last one is the 358/2 Days trio. Xion belongs to the latter and has a special bond with them, similar to how Kairi has her bond with Sora and Riku. What makes it bittersweet is the moments where she realizes her role and begins to question herself. This creates a conflict among her friends. She distances herself from them and even fights Axel at one point after she defects from the Organization. Her sacrifice at the end is the ultimate punch in the gut, causing a waterfall of tears for fans. Fans also fell in love with her strong sense of resolve. 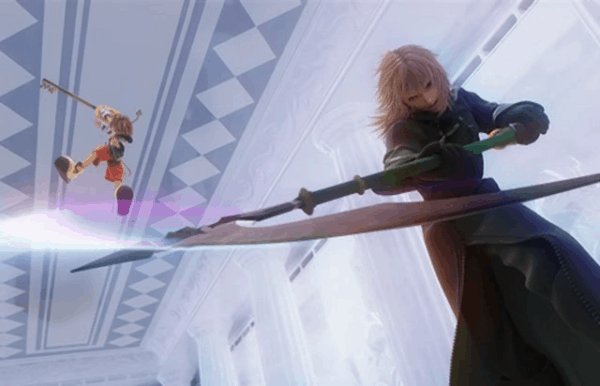 She goes to major lengths to fight Riku even though she is virtually powerless. She goes against the Organization to make things right, even though she had no initial control over the situation. Xion even fights Roxas and pushes him to leave. Thus, making way for the events of Kingdom Hearts II. Ultimately, she’s the best friend that never existed. The primary antagonist in Kingdom Hearts: Chain of Memories is an odd character that many fans have asked for. So much so, that he is confirmed to be in the third installment and back with some tricks up his sleeve. An egotistical Nobody that is behind the trap set for Sora in Castle Oblivion, he sets his sights on the keyblade. His relationship with Larxene is also both odd and enjoyable. As both share a similar goal to be in power over the Organization. However, his ambitions wind up as his downfall. And it’s because of him that many Organization XIII members are not present in KH2. Fans still love his flair for dramatics though. Most of his story is told in Chain of Memories but in 358/2 Days, players do get to see his calmer self through his interactions with Roxas. He also has a beautiful character design that hides his killer flaws. Fans enjoy the dramatic traitor and how difficult he proves to be during Chain of Memories. His boss battle is definitely one of the more iconic battles in the entire series. This is where he fights in his Nobody form and transitions to his second-third form that’s mixed with his Spector. Here, he exhibits flamboyant moves and has such a grasp on the situation, it makes him quite the bad boy heartthrob. 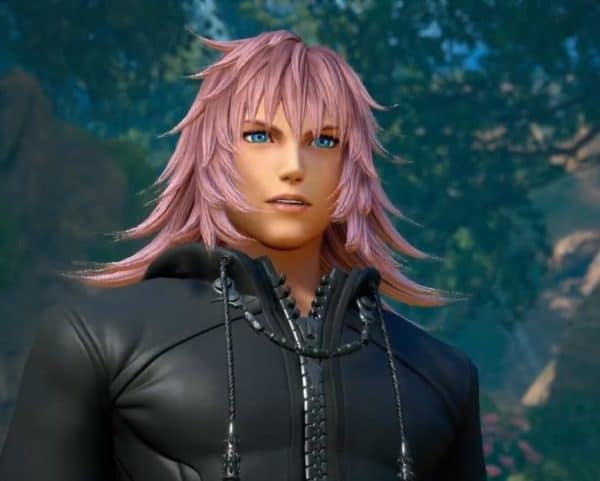 Marluxia is one character that was fully welcomed by fans when the Kingdom Hearts III trailers showcased moments with him. He has plenty of fan theories to keep players up at night and many are excited to see what new tricks he has up his sleeves. What this means for Organization XIII no one is quite certain. Although one thing’s for sure, he is no longer lost in the memories that Namine altered. Kinda can’t have a list of best characters without Sora. He is the main character after all. Sora is just a young boy chosen by the Keyblade to bring back the light and order in the world. It all began with dreams of leaving Destiny Island with his two best friends, Riku and Kairi. However, things quickly sprang out of control and he found himself on an incredible journey to regroup with his trio. During said quest, he befriends the king’s personal guard, Donald, and Goofy as well. Along the way, he faces a countless wave of enemies. While meeting an array of iconic characters that play a small part in his story. Sora is the literal glue that connects all his friends. He not only houses most of their hearts in his own, he supports them in their battles as well. Sora’s positive outlook keeps players upbeat. He creates a comedic relief with his friends when needed. His strong sense of friendship and honesty are hard to match. Sora always wears his feelings on his sleeve and never sugar coats anything. Always sticking to the main goal in front of him. And Supremely relatable to boot. Sora is a character that doesn’t evolve much at first. But in later games, he grows a lot. What begins as a naive tale of a friendly boy just wanting to save his friends. Sees him face tough decisions and major issues that impede him from achieving his goal. Quickly evolving into a more mature protagonist. who understands that not everything in life is simple. The best thing is that none of this changes his positive demeanor. Keeping him always young at heart. Aqua is the ultimate fan favorite. She is actually the first Keyblade master and is one of the main characters in Kingdom Hearts: Birth by Sleep. She is the last to leave the Land of Depature in attempt to prevent monsters called the Unverse from corrupting worlds. While also trying to bring back her friends Ventus and Terra. The situation goes South quickly after the fateful battle in the Keyblade Graveyard. Where Ventus loses his heart and Terra falls into darkness. Aqua makes the ultimate sacrifice after sealing Ventus away, so he could recover by taking Terra’s place in hopes that Terra’s heart could return from the darkness. Her sacrifice and resolve seen in Kingdom Hearts 2.8 has made her an iconic character loved by fans all over. She is not only the wisest out of the Birth by Sleep trio, but she is also the one that does her best to guide them. A little overbearing, she does try to remedy her mistake by helping her friends fight Xeanort. Aqua is a great example of a strong female main character. She sacrifices herself for the good of others. Most of all, she remains true to her heart. 2.8 is probably one of the hardest things fans of hers have to swallow, as the doubt caused by being in the Dark Realm begins to affect her. She struggles to keep positive, but her resolve stays strong. 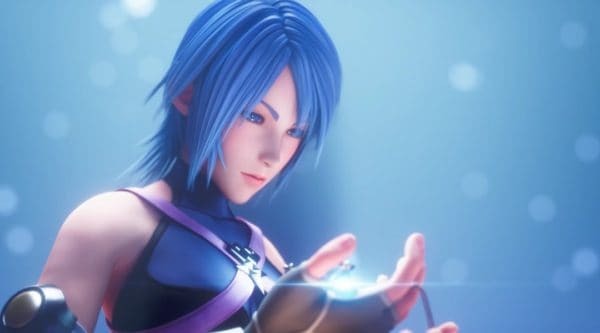 Nomura definitely knows how to tug on the heartstrings with Aqua. Especially, when players catch a glimpse of her in Kingdom Hearts III. Aqua is a character that is repeatedly mentioned in one way or another. Especially in the cosplay scene, where you can find many fans dressed as her. She is beloved for her strength and her bittersweet story. 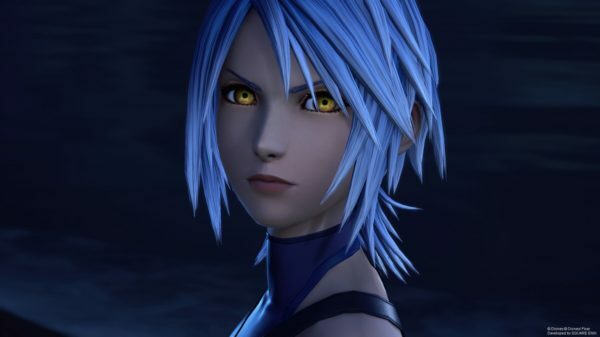 Hopefully, KH3 sees her get a proper ending. Her legacy lives on in Kairi and she is an example for Riku and Sora in their status as Keyblade Masters. These are my Top 5 Kingdom Hearts characters. What are your favorites? Let us know in the comments below, and stay tuned to the games zone for more Kingdom Hearts lists in the future. Stephanie is a writer and artist by day, Saki Sakura the Kitsune Twitch streamer by night Graphic design, artist, horror game fan, you name it she does it. Saki loves cherry blossoms and candy corn, giving her inspiration for the crazy stuff that happens on her streams. She owns the Twitch Channel SakiSakuraTV and Youtube channel Saki Sakura where she plays the games she reviews! Stephanie, she is a content creator that does let’s plays and reviews games at W2Mnet as well.